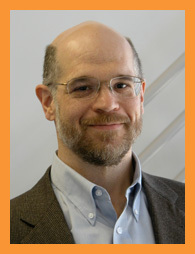 Michael J. Prevost, is a co-founder of Innovative Applied Sciences and the company’s CEO. He is committed to making Innovative a recognized leader in the development of realtime and embedded systems. Mr. Prevost brings more than 25 years of management and engineering experience to Innovative where his primary responsibilities are managing the strategic direction of the company, developing partnership opportunities, and managing business development in all market segments. Prior to Innovative, he was the CEO and a founding partner of Dot4, Inc., a realtime software engineering services company. Earlier in his career, Mr. Prevost held positions at Concurrent Computer Corporation, a leading supplier of real–time computer systems, where he was responsible for sales, technical, and marketing support for the company’s Wagering and Gaming market in North America. He was also a key member of the company’s rollout team for the Maxion product line, the company’s flagship multiprocessor realtime computer system. Earlier, he held engineering positions at Intermetrics and CSC where he a member of the engineering team that developed the Flight Control System (autopilot) for the Boeing 747–400, anti-submarine warfare systems for the P–3 Orion, and tactical in–flight training systems for the SH–3H Sea King. He holds a Bachelor of Science degree in Electrical Engineering from Drexel University. His focus was on Computer Engineering and Digital Signal Processing.